The Apatosaurus had a whip-like tail, which was about 50 feet long! 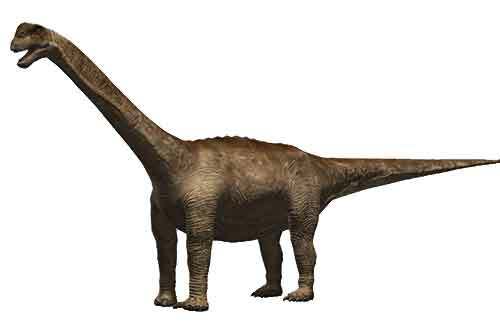 The Apatosaurus did not chew its food it used to swallow stones to help it grind up plants in its stomach. Some scientists believe the Apatosaurus wasn't strong enough to lift its head to eat leaves off trees, simply because its neck was so heavy.